A home providing shelter for women 18+ in crises pregnancies. Must be clean and sober for 30 days. Call or text 24/7 or visit our website for more information. We are operated by HEARTbeat At 22, a 501(c)3 non-profit organization. Mama’s House provides a home for women in crisis pregnancies, those who want to carry their baby to term, but are without support and vulnerable. 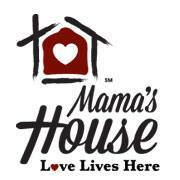 At Mama’s House their spiritual, physical, emotional, educational, and vocational needs are addressed. With nurturing support, these moms will be equipped with necessary life skills for competent living whether they choose parenting or adoption.